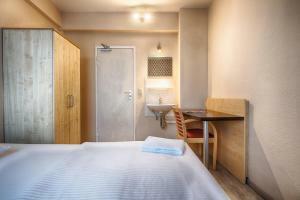 Enjoy hostel Berlin City West is located in Berlin and has a terrace and a shared lounge. Ideally situated in the Charlottenburg-Wilmersdorf district, the property is set 2.9 km from Theatre and Comedy at Kurfuerstendamm and 3.2 km from Kurfürstendamm. The hostel provides city views and a children's playground. All rooms in the hostel are fitted with a TV. 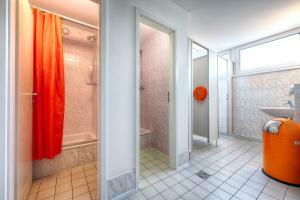 Featuring a shared bathroom, rooms at enjoy hostel Berlin City West also provide guests with free WiFi. Speaking German and English at the 24-hour front desk, staff are always at hand to help. Messe Berlin is 4 km from enjoy hostel Berlin City West, while Potsdamer Platz is 7 km from the property. The nearest airport is Berlin Tegel Airport, 10 km from the hostel.